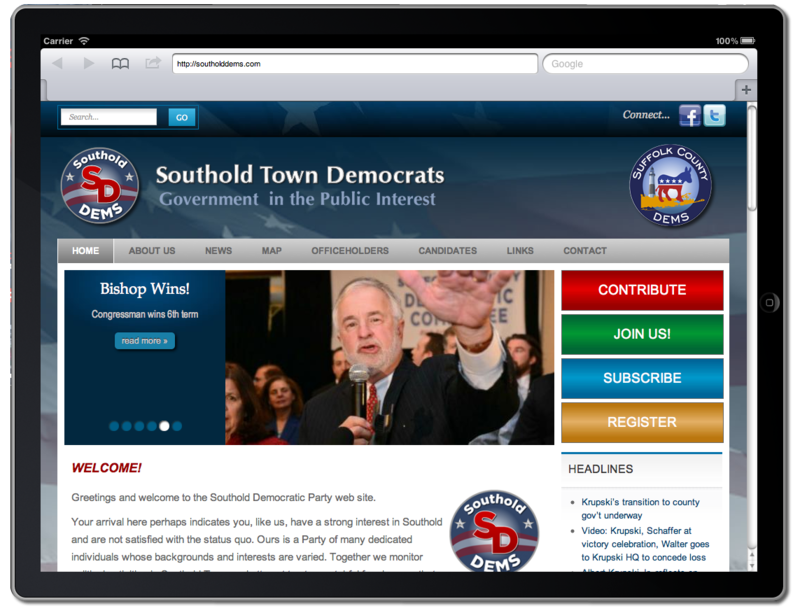 Campaign 2.0 is a specialized implementation of our Foundation 2.0 framework a - web platform using Drupal* and CiviCRM, two of the most advanced web software packages currently available. Many of the highest-profile sites on the web are built using the Drupal platform, including The White House, The Economist and many, many more. CiviCRM is an award-winning Contact Relationship Management system (CRM) specifically designed with the public sector in mind. 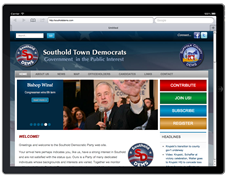 By leveraging the power of open source software, Campaign 2.0 sites are specifically custom designed to provide political campaigns with the tools needed to run a winning campaigns - packaged in a powerful, yet easy-to-use system. CMS stands for Content Management System; this is an apt description for what almost all modern websites do - manage "content." Content is anything and everything from articles, blog posts, images, video - you name it. The difference between a modern CMS and a first-generation website is that content can be easily added and modified by users without having any specific knowledge of code. We're generally a "Drupal House" - we've found Drupal to be the most powerful CMS out there, with a proven record of success in the political field, up to and including www.whitehouse.gov. With over 20,000 modules and a community of over 20,000 developers, there isn't enough space here to even scratch the surface of what Drupal can do - just click on the link or the icon to find out more. CiviCRM is a powerful and extensible system for advanced contact management, including online contribution engine, mass email, text (SMS) messaging, organizational tools for canvassing, phone banking, surveys, petitions and much much more. CiviCampaign is a new CiviCRM component - a set of tools specifically designed for online advocacy and community organizing that's admirably suited for political campaigns. Again, there isn't room here to even scratch the surface as to what CiviCRM/CiviCampaign can do for you; click here or on the icon to learn more. OK - we've gone through most of the tools in the toolkit - now it's a matter of how to put it all together into a seamless package that works specifically with your needs in mind. Our sites are built using the Drupal 7 platform and are custom designed - for you. We'll work with you on getting the exact look to make the impression you want - no cookie-cutter "one-size-fits-all" pre-packaged templates here. And all of our new sites are built to perform adaptively - adaptive design means that sites will display appropriately on all devices, from desktop... to tablets... to mobile and everything in between - even devices that haven't yet hit the market. Click on the images to see how the exact same site appears on both iPad and on iPhone. This is just one of many examples of our commitment to stay on top of the latest technological developments when it comes to the web - so that you don't have to. You have better things to do. 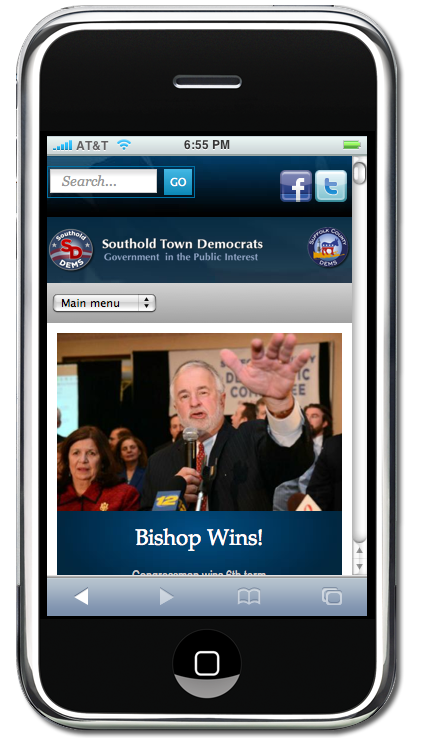 Go to our web design page to see some of our sites in action. And if you have any questions, feel free to call us at 212-787-7767 or send us a message here. *WordPress implementation also available upon request. 1Older browsers, including Internet Explorer (IE) versions lower than IE 9 are incompatible with adaptive design and will display with a fixed width.